What are some of things that make a three-time Stanley Cup winner a bona fide star? 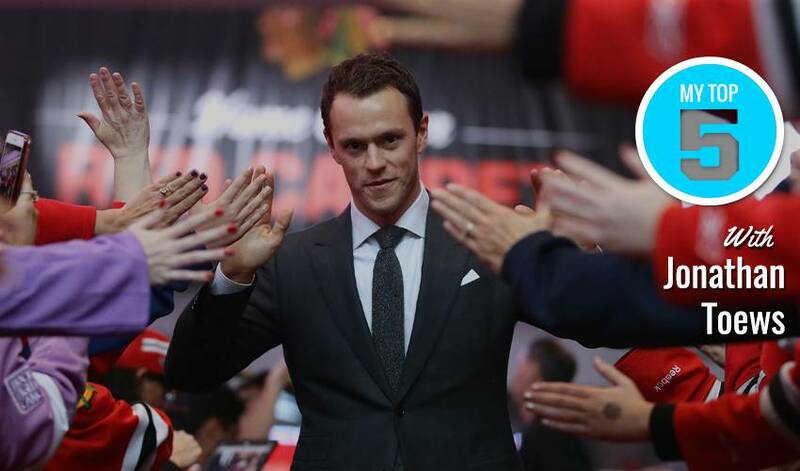 For Jonathan Toews, that list begins with the drive and desire to be a difference maker. Dane Jackson, in his 13th season on the University of North Dakota men’s hockey coaching staff, serves up five reasons why Chicago’s captain is a top-shelf talent. Toews skated two seasons at the University of North Dakota, recording 85 points (40 goals and 45 assists), a +38 rating and a 56.7 per cent face-off winning percentage in 76 games. He helped UND reach the NCAA Frozen Four in both 2006 and 2007, serving as an alternate captain in his sophomore campaign.